You'll be £8.99 closer to your next £10.00 credit when you purchase The Reichsbank Robbery. What's this? Order within the next 2 hours, 46 minutes to get your order processed the next working day! In February 1945 the US Air Force launched the largest day time bombing offensive against Berlin, dropping over 2,250 tons of bombs on the German capital. The Reichsbank, Germany's state bank, received 21 direct hits. This left the building badly damaged, its vaults unsafe and meant that most of its contents were at risk. The German authorities made the decision to take most of the Reichsbank's treasure away and hide it for safekeeping. Some $200 million US in gold bars, weighing around 100 tons, plus much of the paper currency reserves, as well as a great deal of foreign currency (approximately $4 million in US currency alone) was sent in trains from Berlin. All this loot was placed in a salt mine at a place called Merkers. This was captured intact by the US Army. After this disaster, the Germans spent the next six weeks transferring their remaining bullion and currency reserves around what remained of the Reich in armoured trains, an area that included parts of northern Italy, Czechoslovakia, Austria and Germany, looking for somewhere safe. Much of the treasure actually either ended up back in Berlin, was stolen, disappeared or, was captured, mainly by American troops and the SS. This novel, by Colin Roderick Fulton, imagines one plot which could have been enacted around this time. The mystery surrounding the locations and ultimate destiny of the liberated treasures provides fertile ground on which to impose such a fiction. Secrecy, intrigue, and fast paced action combine to create a well paced novel, sure to appeal to fans of wartime fiction. This is historical wartime fiction at its best! I recommend it highly! The Reichsbank Robbery is a very enjoyable, action-packed work of historical fiction. The novel is strikingly visual in its entire orientation. Fulton articulates what is necessary to carry on the story's intricate plot, which is rich with historical detail. I widely recommend the experience to fans of historical fiction and first-rate plot twists as well as to fellow readers generally. 5 of 5 stars. What an awesome read, I received a copy though [sic] Netgalley and I was quite impressed. It was a very well designed story that could have happened in the closing days of World War II. 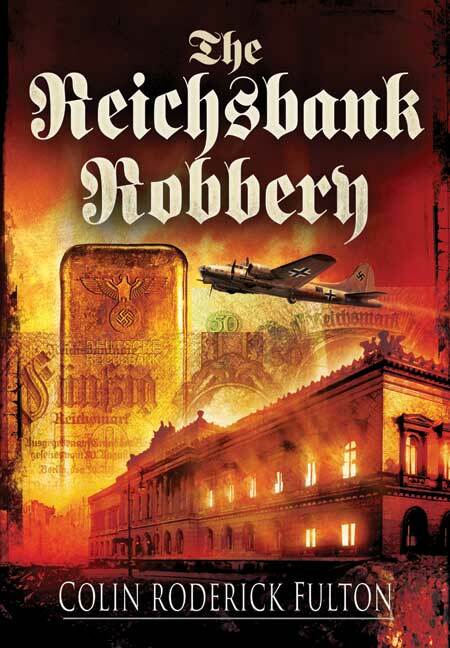 If you are a fan of historical fiction or thrillers do yourself a favour and pick up the The Reichsbank Robbery. For most of the book it is more of a psychological thriller rather than action packed, but the story manages to stay suspenseful and never let up in spite of that. As a straight up thriller this book also completely succeeds. This is an exciting, edge of your seat ride! The mystery surrounding the locations and ultimate destiny of the liberated treasures provides fertile ground on which to impose such a fiction. Secrecy, intrigue, and fast paced action combine to create a well-paced novel, sure to appeal to fans of wartime fiction. This visually evocative novel, set towards the end of the Second World War, tells of Sturmbannführer (Major) Friedrich Schonewille, an accountant working for the SS, who collects revenues from concentration camps. Full of insecurities and hate, indifferent to Nazi philosophy, he enjoys the power his position brings. Factually accurate plot details are interspersed throughout. Definitely one for the boys.